Yokoga wa Electric Corporation announces that Yokogawa Solution Service Corporation, a subsidiary that is responsible for Yokogawa's control business in Japan, has taken an order from Asahi Kasei Chemicals Corp. to provide a network healthiness check service that analyzes and verifies the integrity of the data traffic on the control system communications busses at its Mizushima Works. An industry first*, this cyber security service for control systems combines network visualization technology with the collection and analysis of data traffic. As the threat of cyber-attacks has increased in recent years, there is an urgent need for strong security measures with control systems, particularly those used in critically important infrastructure such as electric power, gas, and petrochemical plants. With the increasing sophistication of such attacks, it is often no longer sufficient to rely solely on general security measures such as the use of antivirus software. Yokogawa's network healthiness check service is able to visualize the status of communications traffic on a network after periodically collecting and analyzing log data. When data traffic from an unknown IP address, communication via an unspecified protocol or port, data loss, or some other potential hazard is detected, Yokogawa will then work with the customer to identify possible causes and propose any necessary improvements. 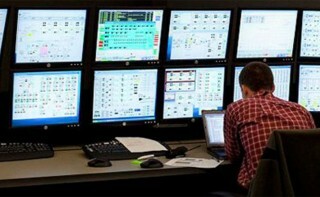 Unlike conventional services that rely on the monitoring and analysis of vast amounts of control system communications traffic, Yokogawa's service is able to quickly and intuitively visualize and grasp the status of the control system's communications traffic so that quick action can be taken in response to any potential issue. Yokogawa jointly developed this visualization technology with Yasuo Okabe, a professor at Kyoto University; Hiroki Takakura, formerly an associate professor at Kyoto University and currently a professor at the National Institute of Informatics; and the National Institute of Information and Communications Technology (NICT). Yokogawa develops and provides to its customers a variety of highly secure device and system solutions, and is also engaged in the provision of ongoing operational support services. The company will continue to assist its customers through the provision of control system cyber security solutions. Yokogawa Electric Corporation (Yokogawa, President: Takashi Nishijima) announces that it has worked with the National Institute of Information and Communications Technology of Japan (NICT, President: Dr. Masao Sakauchi), Professor Yasuo Okabe of Kyoto University, and former Associate Professor Hiroki Takakura of Kyoto University to jointly develop a technology that visualizes and analyzes control system traffic to verify its integrity. This technology, which has been integrated by Yokogawa in an industry-first network healthiness check service, can quickly detect security incidents such as a malware infection. This combines visualization technology with the collection and analysis of traffic data to verify the integrity of control system networks, and is expected to improve the security of control systems used in public utilities. Control system security has become a serious concern in recent years due to the proliferation of cyber-attacks targeting critically important infrastructure like public utilities: electric power, gas, and water. As control systems increasingly rely on operating systems and standard protocols that are both open and versatile, cyber attacks are very common now with various infection routes not only via the Internet but also via USB memory devices and other media, making it difficult to prevent all malware infections. Therefore, there is an urgent need for a technology that can quickly detect security incidents. Such technology should not have an impact on control system availability (stable, continuous operation) as these systems need to keep operating without interruption for very long periods, even as long as several decades. NICT, Yokogawa, and Kyoto University jointly developed a technology for visualizing and analyzing control system traffic to verify its integrity and quickly detect security incidents such as malware infections. Unlike general information systems where the amount and direction of traffic keep changing, it is easier with control system networks to identify when traffic conditions are normal as these systems are designed and used for a specific purpose. We focused on this characteristic. Our technology saves data on normal control system traffic conditions as a white list. With reference to this list, the technology monitors the dynamic state of the control system network to detect any abnormalities such as an increase in traffic or communication with an unknown IP address that could be caused by malware. Furthermore, by using NIRVANA*, a real-time traffic visualization system developed by NICT, we improved this technology to comply with unique communications protocols used by control systems. As a result, this technology can identify traffic conditions much easier when an abnormality is identified (Figures 2 and 3). Since there is no need to install detection software on each control system host (or server), this technology is easy to be introduced and does not impact control system availability. Yokogawa Electric Corporation and GasSecure AS, a Dräger owned company, announce the delivery of the world's first SIL2*1-certified wireless gas detection system for use at an LNG production facility in Northern Europe. On this date, the two companies will begin promoting the unique capabilities of this system solution to companies that have a strong interest in maintaining safe and secure operations. Yokogawa has been developing a wide variety of ISA100 Wireless*2 technologies and field wireless devices such as adapters that enable conventional wired devices to access wireless networks, and provides them to plants and other facilities primarily in the upstream oil and gas sector. GasSecure has developed ISA100 Wireless gas detectors that can detect leaks of explosive hydrocarbon*3 gases and are certified for compliance with the ATEX directive and the IECEx Certified Equipment Scheme, and installs them on offshore oil and gas drilling platforms and at tank farms, industrial plants, and the like. GasSecure has already supplied a number of these products to leading oil and gas companies around the world. In 2014, GasSecure and Yokogawa concluded an agreement under which the two companies jointly developed a wireless gas detection system that would meet their customers' requirements. This system uses GasSecure's GS01 wireless gas detectors to measure hydrocarbon gas concentrations. Using the ISA100 Wireless communications protocol, the GS01 establishes a link with a Yokogawa YFGW510 access point and sends data to a host system via a Yokogawa YFGW410 field wireless management station. Although the GS01 uses a low-power infrared sensor and is very energy efficient, it has a very fast response time. This capability of the GS01 and the utilization of dual redundant communications by Yokogawa's field wireless products make them essential components for the construction of a fast and highly reliable monitoring solution. To meet its customers' safety requirements, GasSecure has made enhancements to the GS01 to obtain SIL2 certification for this device. For its part, Yokogawa has modified the YFGW410 so that it now supports the PROFIsafe safety communication standard, and has verified that both companies' products perform and operate as specified. Exida, a global supplier of functional safety products, services, and certifications has released their Safety Equipment Reliability Handbook (SERH) – 4th Edition, a hard copy of the SERH database with a vast amount of equipment item reliability data. The SERH database provides a collection of failure rate data that is applicable for use in Safety Instrumented System (SIS) conceptual design verification in the process industry. Rockwell Automation is now accepting nominations for its third annual Manufacturing Safety Excellence Awards. The awards celebrate the world’s safest manufacturing companies – those that make workplace safety a core business value by building a comprehensive program based on three key pillars: a strong safety culture, well-executed compliance procedures, and effective use of current safeguarding and automation technology. The awards are open to manufacturers, machine builders (OEMs) or system integrators, as long as they demonstrate a true commitment to safety across the three key pillars of culture, compliance and technology. Nominations are due Sept. 14, 2015. The awards also recognize companies that successfully integrate safety practices between the engineering and environmental health and safety (EHS) departments. This helps enable the kind of collaboration that dramatically reduces injury rates while also improving plant productivity. Past winners include General Motors, Procter & Gamble and the PepsiCo divisions of Walkers Crisps and Pepsi Flavors.